If your website was built using WordPress CMS, this Google tool might be just what you need. 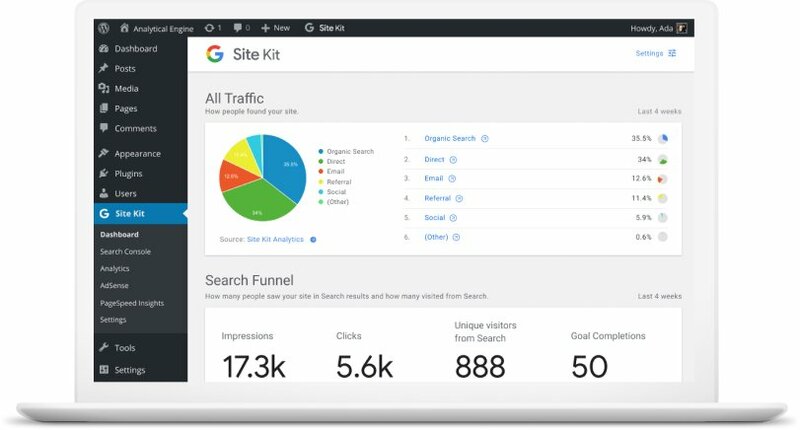 Google has introduced a new WordPress plugin (Site Kit) which allow users to access key metrics and insights from four different Google products – Search Console, Analytics, AdSense, as well as Page Speed Insights, without leaving your WP dashboard. Keep in mind that this tool doesn’t add any new insights that are not already available to you via Google tools, it is a simpler and easier way to access your current insights and data. The setup has only three steps, and you can add additional modules as you go. For more information about social media marketing, local SEO, and brand strategies, click here.